672,768,000 breaths in a lifetime – but are you doing each of them correctly? That’s an average for a person living until 80 years. So, I ask you: HOW’S YOUR BREATHING RIGHT NOW? Don’t we generally assume its ok? What if it could be more useful, more holistic? Breathing is an essential of life that most people take for granted. Even so, how can breathing be this important – since we have been doing it all our lives and with little thought? And most probably all too often we have been using a less than advantageous technique. Goodness! Like we need another thing to think about? Hey – let’s not stress over the stress that poor breathing habits produce. Awareness and simple techniques can turn this around. It’s time to learn the correct way to breathe. Begin your breathing and judge for yourself. Which way is your body moving? Is your belly moving upward toward your chest or expanding fully outward, like you are blowing up a balloon. Let the rhythm be at its regular tempo. It will by nature, slow itself down and become smooth and effortless. Do not hold onto the stress of tight muscles or thoughts. Breathe and relax. Your body and mind will be your teacher. Bring your breathing into your stomach – the stomach or abdomen whichever word you prefer to use. This is one way to tell yourself to move the process lower and away from the upper chest. Precisely though, the stomach is an organ located in the abdomen which is a region between the chest and pelvis. And your diaphragm is located in your abdominal cavity. Hold the breath for a short and easy count. Then exhale. At the time to exhale, you will feel your belly contract and become smaller. Breathing exercises can reduce stress and your improve your mood. As a result, you will feel more energized. During a stress episode, stop and focus on your breath. This alone is a quick easy answer for some immediate relief and can be done anywhere. 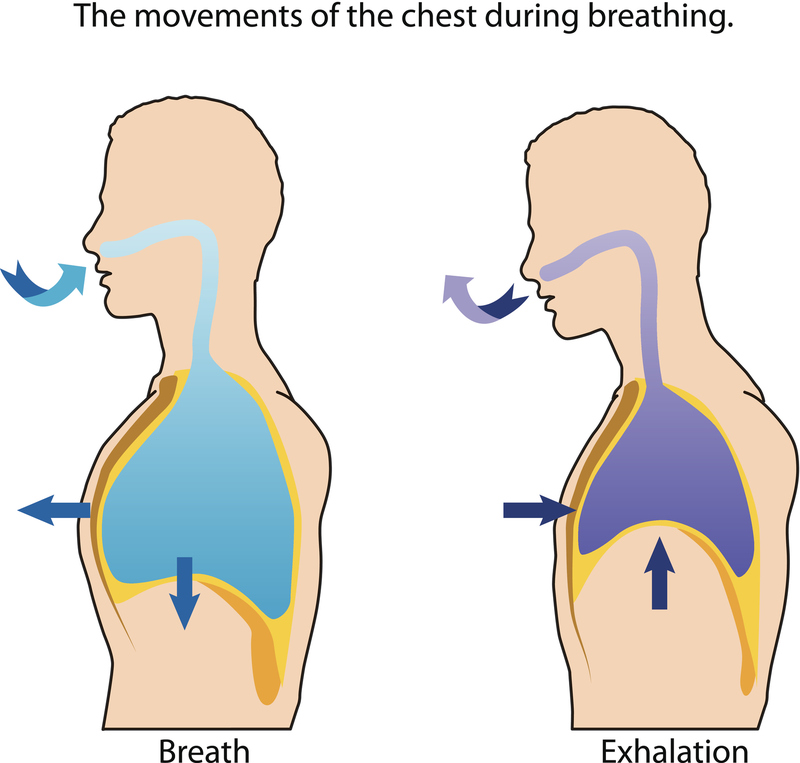 Diaphragmatic breathing is the easiest way to evoke the relaxation response. Thereby you gain more equanimity over your mental and physical states by noticing your breath. Start by increasing the awareness of your own breathing patterns and shifting to diaphragmatic breathing. When you are in a stressful situation, then stop and notice your breathing. If your thoughts are upsetting and clearly focused on stress related incidents, then shift to your relaxed breathing. Your body feels superb if you will take the time to indulge in deep diaphragmatic breathing. Your mind will feel at ease. And your cells will thank you immensely! – but will have you on the path to living the Ageless Wellness Lifestyle too?